compounds on the highway. 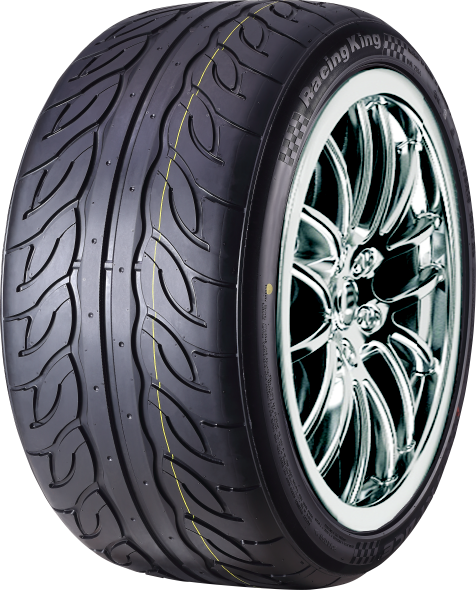 A no compromise tread design developed for maxim, superior surface grip. 2.Color Smoke Rubber can produce beautiful colors of smoke for a unique experience and identification during competitive events. 3.Enhanced Bead Design for smooth high speed cornering and total control. 4.High Strength Reinforcing materials ensure strength and durability of the tire body casing. 5.Optimized Sidewall Profile ensures stability during high stress driving and competitive situations. 6.Finite Element Stress Analysis includes optimized crown arc design; uniform tread contact patch provides superior handling performance. 7.Firm Tread Design provides outstanding traction.